It’s not a pleasant scenario to imagine: A patient is placed on a seemingly clean bed or stretcher, and blood from a previous patient oozes up from the mattress, contacting the patient. ECRI Institute’s research – including literature reviews, database searches and investigations of incidents reported by health care facilities – has identified multiple cases in which a mattress that had become contaminated during patient care remained contaminated after reprocessing (i.e., after cleaning and disinfection). The result is that subsequent patients were put at risk of exposure to body fluids or other microbiological contaminants. A hospital bed or stretcher consists of a frame, a mattress (foam or air) and a mattress cover. The mattress cover is designed to prevent body fluids and other contaminants from entering the mattress. During room cleaning, the mattress cover is cleaned and disinfected to prepare the bed or stretcher for the next patient. Because it is protected by the cover, the mattress itself is not cleaned between patients. If, however, the integrity of a mattress cover is compromised, contaminants can contact or seep into the mattress during patient care. These contaminants can remain on, or in, the mattress after cleaning, putting subsequent patients at risk of exposure. Protecting patients, therefore, requires not only effective measures for cleaning mattress covers, but also effective – and consistently followed – practices for inspecting mattresses and covers for signs of damage. In addition, protocols must be in place for promptly remediating any problems that are identified. A mattress cover can remain contaminated after reprocessing if the cleaning and disinfection materials or procedures that are used are not appropriate for the contaminants present. For example, a tuberculocidal product may not be an effective disinfectant for a mattress cover that is contaminated with blood, body fluid or bacterial spores. Additionally, the use of incompatible materials or procedures can damage or degrade the cover material. Such damage may allow contaminants to penetrate the cover during subsequent use, resulting in the mattress becoming contaminated. Such errors can result from staff being unaware of the mattress cover reprocessing instructions or from staff choosing to disregard those instructions. But there’s also a third factor to consider, as ECRI Institute describes in its report: Not all mattress cover suppliers specify appropriate reprocessing materials and procedures for the circumstances of use. 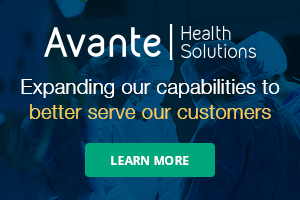 All health care facilities – from acute care hospitals, to ambulatory care centers, to long-term care facilities – must institute effective processes for reprocessing mattress covers and for identifying and remediating any mattresses or mattress covers that have been compromised. If your mattress cover supplier (i.e., the manufacturer or rental company) does not recommend at least one antimicrobial product for each of these uses, press them for details about how your facility can properly reprocess the mattress cover. For future purchases or rentals, avoid suppliers that do not provide adequate reprocessing guidance. Verify that environmental services (EVS) staff are provided with the recommended procedures and materials for cleaning and disinfecting your facility’s mattress covers. Train EVS staff to recognize potential problems with mattress covers, including exterior damage (cuts, tears, cracks, pinholes, snags, stains or compromised zippers); material wear; shorter-than-normal cover drying times, which could indicate that fluid has penetrated the mattress cover; or heavier support surfaces, which could indicate that the mattress has absorbed fluid. Inspections of mattresses and covers should be added to relevant EVS checklists, and staff should be instructed how to respond if damage is identified or suspected. Do not use bed and stretcher mattress covers beyond their expected service life. 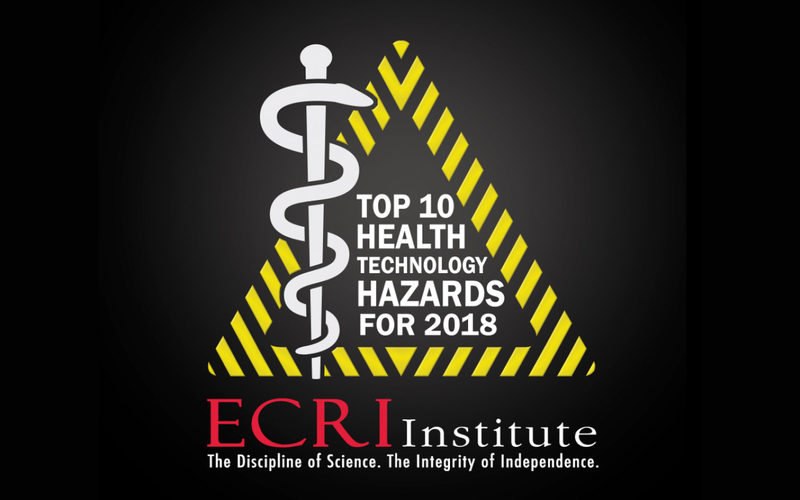 – This article supplements ECRI Institute’s “Top 10 Health Technology Hazards for 2018.” An executive brief of the report can be downloaded from ECRI Institute as a free public service. The full report, which includes detailed problem descriptions and recommendations for addressing the hazards, requires membership in certain ECRI Institute programs or separate purchase. For more information, visit www.ecri.org/2018hazards, or contact ECRI Institute by telephone at 610-825-6000, ext. 5891, or by email at clientservices@ecri.org.